Trish McEvoy Eye Base Essentials ($26) in Bare all over the lid. Trish McEvoy 24-Hour Shadow and Liner ($64) in Smokey Quartz on lid and crease, and lightly swept along the lower lash line. Trish McEvoy Eye Brightener Pencil ($22) in Shell, lightly swept under brow. NARS Larger Than Life Long-Wear Eyeliner ($24) in Bourbon Street, lined across top lash line. 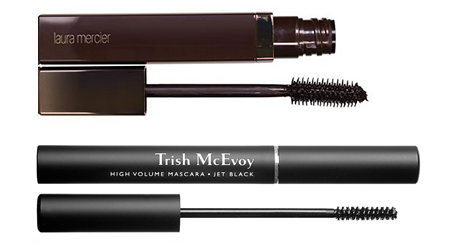 Laura Mercier Extra Lash Sculpting Mascara ($25) in Black Onyx or Trish McEvoy High Volume Mascara Jet Black ($31). Bobbi Brown Perfectly Defined Long-Wear Brow Pencil ($42) in Wheat or Blonde. 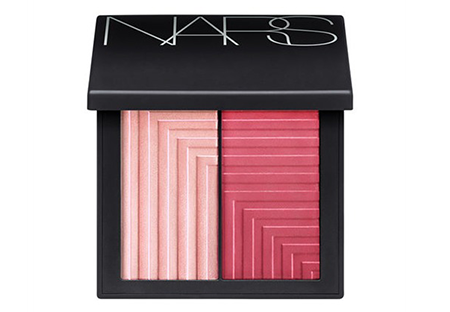 NARS Dual Intensity Blush ($45) in Adoration - pop the brighter shade on the apple of the cheek and the lighter shade to highlight or mix together for a softer look. 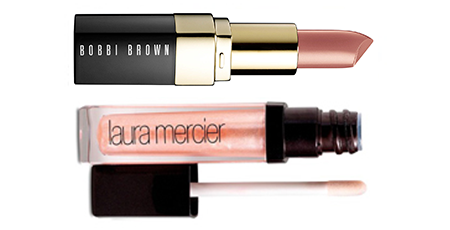 Bobbi Brown Sandwash Pink Lip Color ($26) with Laura Mercier Baby Doll Lip Glacé ($25) on top.